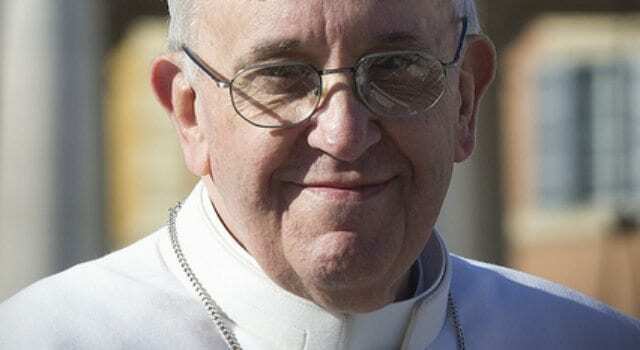 Pope Francis questioned gun manufacturers who “call themselves Christians” in a recent speech, implying that they are either hypocrites, or not really Christians at all. Quite a bold statement. Of course, I guess if anyone can call you on your Christianity, it’d probably be the Pope. But that doesn’t mean he’s right! He went on to talk about “trust” repeatedly. And to his point, yes, building weapons does indicate that you don’t trust someone. Here’s a newsflash for you… we don’t trust everyone, nor can we! Evil exists in the world. Those of us who are Christians believe that we have an enemy. We call him Satan, the Devil, Lucifer, take your pick. It’s all the same guy. And, yes, he’s out to wreak havoc on our lives. Good people armed with prayers and “trust” is a good thing, but that doesn’t mean we shouldn’t also be prepared to defend ourselves and our families from those who would seek to destroy us. There is a real world out there that sometimes requires us to be armed with physical solutions. The Pope knows these things. If all he needed was trust and prayer, he’d disarm or dismiss the Swiss Guard which provides protection and security to him. But he hasn’t done that, now has he?